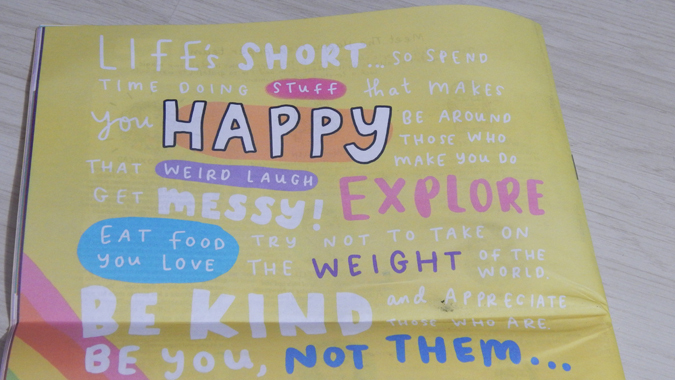 I always look forward to The Happy Newspaper dropping through my letterbox. It’s £3.99 a quarter and worth every penny. 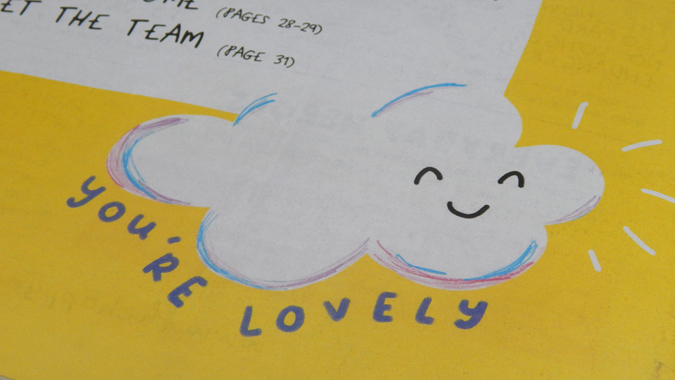 Issue 8 came with a cute postcard, which I’ll be passing on to a friend in need. 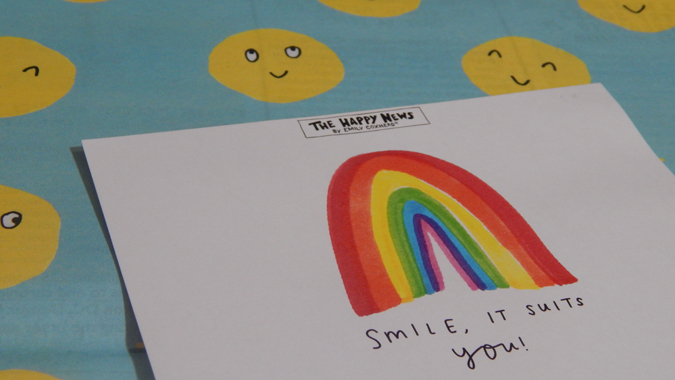 It’s the little touches which makes Emily Coxhead’s work so amazing. 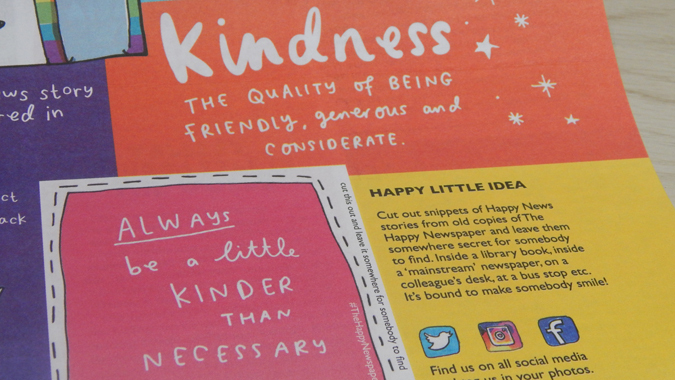 Each issue is based on a theme and this issue’s theme is kindness. 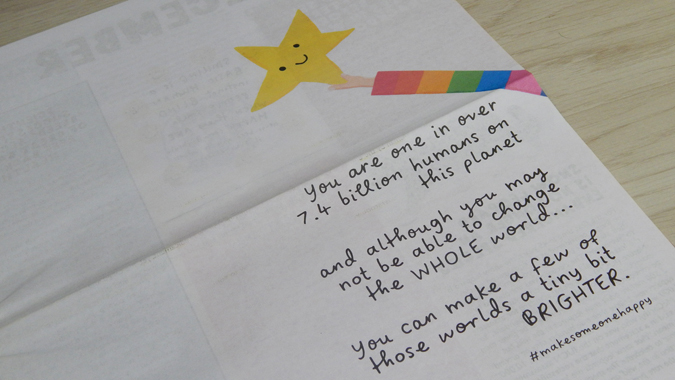 It’s a welcome reminder to be a little kinder to everyone, including yourself. 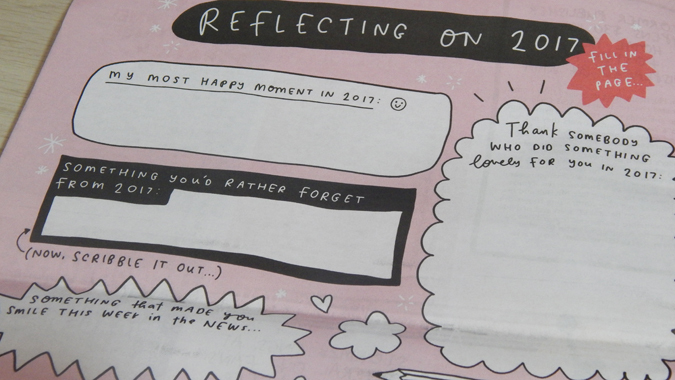 As usual, it’s beautifully and colourfully designed, with little snippets to cut out and share the love. Seriously, look how pretty! I love Emily’s mad design skills. As well as the usual good news stories, which genuinely warm the cockles every time, there were some extra activities. So much loveliness! If you think this looks good, wait until her book comes out next month. I can’t wait. 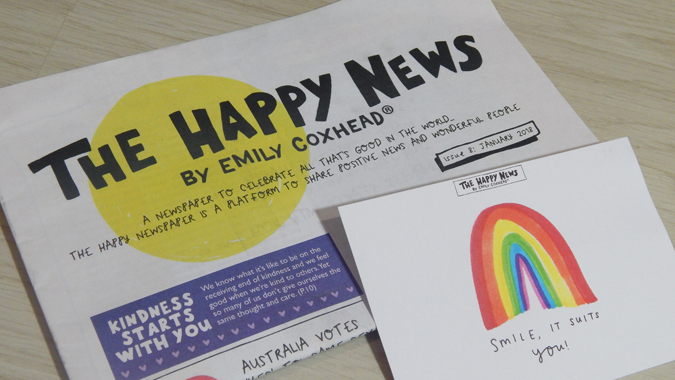 You can subscribe to The Happy Newspaper here and pre-order Emily’s book here.